Hotel Livemax Esaka is 650 feet from Esaka Station and a 30-minute train ride from Kansai International Airport. It offers modern rooms with free wired internet and a flat-screen TV. 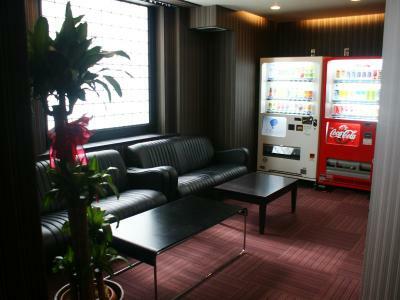 The air-conditioned rooms at Livemax Esaka Hotel are equipped with a fridge and microwave. 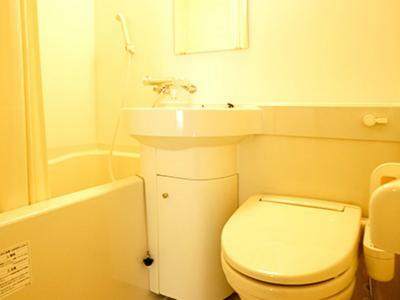 The en suite bathroom comes with a bathtub. From nearby Esaka Station, the hotel is a 5-minute subway ride from JR Shin-Osaka Shinkansen Station. Sozen-ji Temple is a 20-minute journey via subway. Itami Airport is 4 miles from the hotel. Parking is available at charge. The hotel has a coin-operated launderette. When would you like to stay at Hotel Livemax Esaka? Room featuring a semi-double bed (47 in wide). This air-conditioned room is equipped with a fridge and microwave. The private bathroom comes with a bathtub. House Rules Hotel Livemax Esaka takes special requests – add in the next step! Hotel Livemax Esaka accepts these cards and reserves the right to temporarily hold an amount prior to arrival. We need at least 5 reviews before we can calculate a review score. If you book and review your stay, you can help Hotel Livemax Esaka meet this goal.